How Do You Give & Receive Love? Lasting relationships, like anything worthwhile, take intentional commitment over time. But when you’re just not on the same page, keeping your love alive can feel intimidating – or even impossible. In his #1 New York Times bestseller, The 5 Love Languages®, Dr. Gary Chapman presents a simple truth: relationships grow better when we understand each other. Everyone gives and receives love differently, but with a little insight into these differences, we can be confidently equipped to communicate love well. This is true for all forms of relationship – for married or dating couples, for children and teenagers, for friends and coworkers, for long-distance relationships, for those brand-new loves and for the romances that are older than the hills. No matter who you are, there’s a book for you. Explore the complete library of The 5 Love Languages® below and start growing closer today. In his early years as a marriage counselor, Dr. Gary Chapman noticed over and over that couples would voice similar complaints regarding their marriage. One spouse would say something like, “I feel like he doesn’t love me. The other would protest, “I don’t know what else to do! I’m doing everything I should be doing.” Recognizing a pattern, Dr. Chapman pored through years of session notes. He asked himself, “When someone said, ‘I feel like my spouse doesn’t love me,’ what do they actually want?” Surprisingly, their answers fell into five categories, revealing a unique approach in how to effectively love another person. More than 25 years later, this revolutionary concept has improved millions of relationships across the globe. The premise is simple: different people with different personalities express love in different ways. Gary called these ways of expressing and receiving love the “5 Love Languages.” They are Words of Affirmation, Acts of Service, Receiving Gifts, Quality Time, and Physical Touch. Each individual has at least one language that they prefer above the other… and this is where it gets interesting. Want to radically strengthen and improve your relationships? Take the 5 Love Languages Quiz today and discover how you prefer to give and receive love. Gary Chapman, Ph.D.—author, speaker, and counselor—has a passion for people, and for helping them form lasting relationships. Chapman is a well-known marriage counselor and director of marriage seminars. 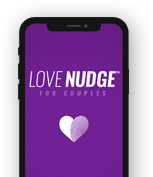 The 5 Love Languages® is one of Chapman’s most popular titles, topping various bestseller charts for years, selling over twelve million copies and has been on the the New York Times best-sellers list continuously since 2007. Chapman has been directly involved in real-life family counseling since the beginning of his ministry years, and his nationally-syndicated radio programs air nationally on Moody Radio Network and over 400 affiliate stations.